Welcome to Bridget’s world: her family lives in a trailer, moving every so often; she’s engaged and her wedding is sooner than she’d like; and her parents want her to quit high school so she can help more with the family business. The problem is Bridget’s not sure the Traveler life is for her anymore. She feels guilty about pulling scams, and she’s definitely not sure she wants to get married, even though Patrick’s a good guy. But Bridget’s always been the good girl who does what she’s told, and there’s no way her parents will let her out of the wedding. And if she leaves the life, she’s out of the family for good. 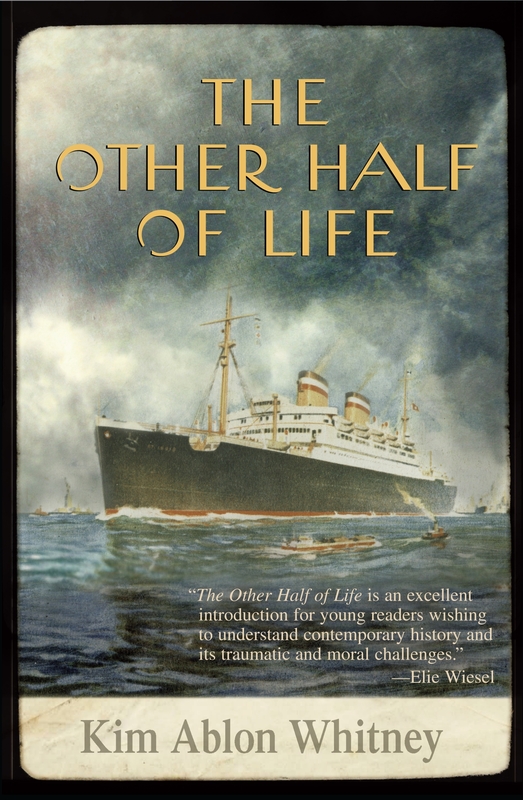 A heartbreaking novel based on the true story of a World War II voyage. In May of 1939, the St. Francis sets sail from Germany, carrying German Jews and other refugees away from Hitler’s regime. The passengers believe they are bound for freedom in Cuba and eventually the United States, but not all of them are celebrating. Fifteen-year-old Thomas is anxious about his parents and didn’t want to leave Germany: his father, a Jew, has been imprisoned and his mother, a Christian, is left behind, alone. Fourteen-year old Priska has her family with her, and she’s determined to enjoy the voyage, looking forward to their new lives.